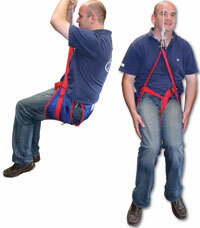 Combines easy adjustment with quick release. Frame made from 316 stainless steel. 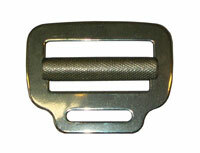 Made from 316 stainless steel with Nylon bar. Part No. 0411 as 0412 but unwelded. 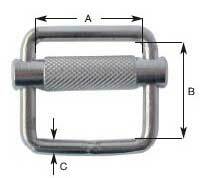 Made from 316 stainless steel with H section aluminium bar designed to prevent slipping (bar is anodised black). Made from 316 stainless steel with knurled black Annodised Aluminium bar. 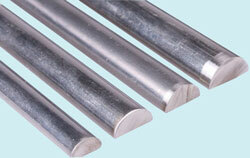 Made in 316 stainless steel with knurled stainless steel bar. 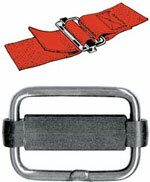 Made from 316 stainless steel, designed to assemble sliding bar buckles, D-Rings, etc to a solid fixture. 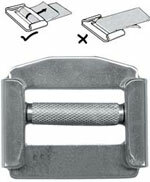 Fits up to 5mm bar. 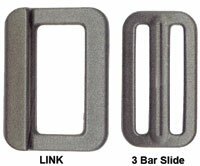 Sliding Bar Buckle with 30mm slot.